The Minnesota Legislature has passed new motorcycle safety bills that include a "Start Seeing Motorcycles" license plate that will now be available for purchase for your vehicles. No matter how hot your bike’s engine is, no matter how many performance upgrades you’ve made or if everything is still stock, there’s only one thing that keeps your motorcycle planted on the road, and that’s the tires. Worn or incorrect riding tires can quickly turn a great day of riding into a life-and-death disaster. While we here at CycleSoup.com have heard of mystical lands where folks can ride year ‘round, we pretty much chalk those tales up to urban myth; winter’s deathly chill meant we had to put our motorcycles into storage for the season. But fear not! The sun is returning, the land is thawing and riding season is just around the corner. Be ready for it by following these six simple steps for properly bringing your machine back to life after its long winter nap. There’s only one thing that motorcyclists--even one as young as this little guy--dream of during the depths of winter: the return of the International Motorcycle Expo. It’s the one place to see everything from every facet of motorcycling. Triumph has finally pulled the covers off its long awaited new model, and it’s a jaw dropper. With promises at the end of 2016 of a motorcycle that would set “a new benchmark in every way – power, weight, handling and looks,” the venerable British marque rolled out the new 2017 Street Triple lineup, and these street stormers seem set to deliver everything they promise. There was a time when catching great footage of your motorcycling adventure required multi-thousand dollar cameras and an entire production crew. Thanks to technology, those days are gone. As cameras have advanced, it’s become easier and easier to document your most recent two-wheeled escapade. With today’s gear that shoots in full 1080p HD, these motorcycling cameras deliver outstanding image quality and offer a ton of versatility. Check out our top picks in motorcycle cameras. Each is unique in their own right but all deliver top-notch performance; mount them on your helmet, handlebars or any other part of your bike and you’re ready to shoot your own version of “Long Way Round”. Christmas isn’t all smiles and candy canes. Sure, good ol’ St. Nick may deliver presents to good children, but the bad ones get a visit from the Krampus, a be-horned, shaggy, half-man half-goat demon who punishes the snotty little misbehavers and carts they away in his wicker basket. And if anyone in the motorcycling world deserves to be carried away by the Krampus, it’s Marcus Weller and the rest of his evildoers from Skully Helmets. Motorcycles plus ice – what could go wrong? Seriously, though, watch these ice racers to see riders made of more steely stuff than you or I. As the year draws to a close, it’s good to take a look at the battles we motorcyclists have fought in 2016 in regards to our riding freedoms. But what’s that you say? Didn’t think that riding was under attack, that the days of the government going after motorcyclists was a thing from the 1960s? Sadly, nothing could be further from the truth. Winter Means One Thing -- Detailing! If you love riding as much as we do, you know how hard it is to sit idle during the long cold winter season when all you wish you could do is go for a ride. 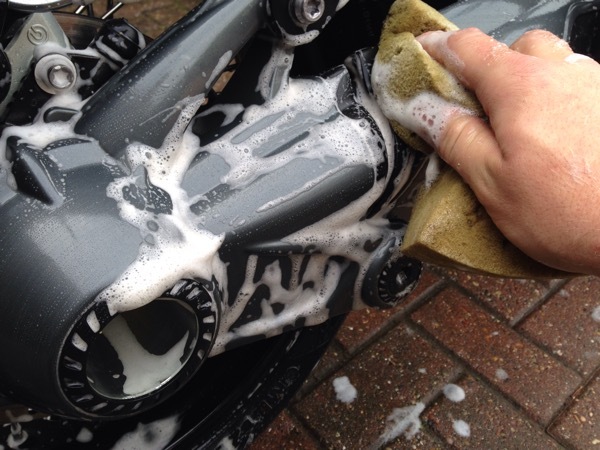 Why not use these winter months as an opportunity to detail your bike? It may not be a complete replacement for riding, but it sure will bring a smile to your face come spring when you pull that gleaming machine out of the garage. Mr. Soichiro Honda was fond of saying, “More is learned from failure than from success.” And when it comes to motorcycles, there have been some monumental failures. 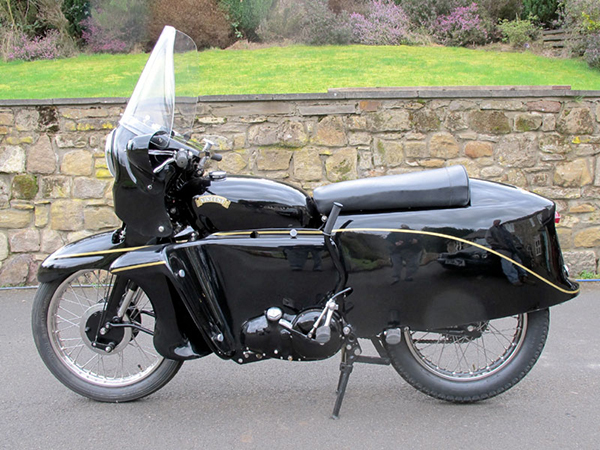 Whether because the machine was technologically ahead of its time or because it looked like Daffy Duck was turned loose to design it, some motorcycles were duds right out of the gate. Sure, they might have held on for a year or two, but they were doomed to live in infamy as either too goofy, too quirky or just too stinkin' ugly.